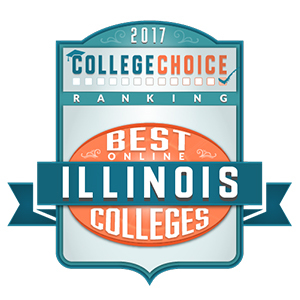 Southern Illinois University Edwardsville is among the top 10 Best Online Colleges in Illinois, according to College Choice, a ranking and review online publication. SIUE was tabbed ninth out of 23 universities in the state. Rankings were based predominantly on academic quality, as well as return on investment. SIUE’s online degree programs include one undergraduate degree, five graduate degrees, one doctoral degree and a certificate option. Details on each of SIUE’s online degree programs can be found at siue.edu/online/degrees-programs. Among the top programs highlighted by College Choice were the School of Nursing’s accelerated RN to BS, master’s in nursing - health care and nursing administration, and doctor of nursing practice. The statewide ranking emphasized SIUE’s convenient, asynchronous eight-week and 16-week formats that offer flexibility for working professionals and others with busy schedules.